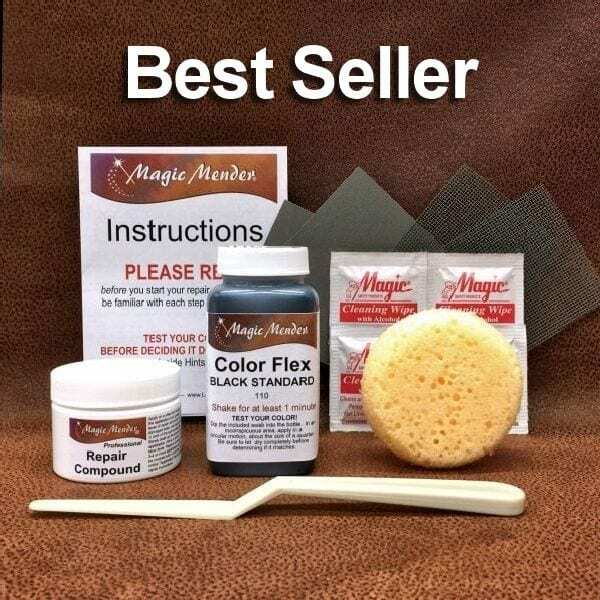 Magic Mender® | Leather & Vinyl Repair Kit for Furniture, Autos and More! Trusted Products That Really Work! Furniture, auto interiors, shoes, purses, briefcases, equestrian leather and much more! Repair cuts, tears, pet damage and more. even change colors if you’d like. Vinyl and all leather including bonded leather. Want to Know More About Our Products? Keep scrolling. No color mixing: Our colors are ready-mixed for you, no messy mixing. Before you Buy…Please read our page “Do Leather Repair Kits Really Work” so you know the truth about leather repair kits and what to be aware of. Using our leather repair products you can extend the life of the item much longer than if you do nothing. However, you need to understand what bonded leather is so you won’t be disappointed if your leather continues to peel. 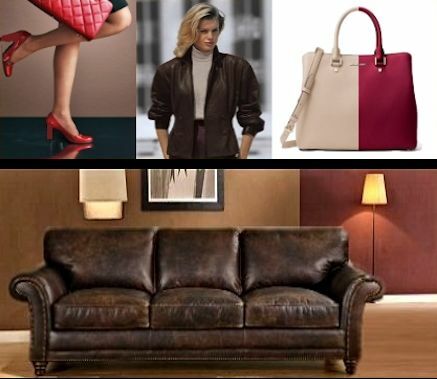 Please see our “About Bonded Leather” page for the full story. We offer the latest technology of professional leather products available on the Internet. Our products are not discount store or “As Seen on TV” type products. The products we offer, are designed and formulated for the professional leather repair trade and are the exact same products that your local professional would use. Developed by experts with years of hands-on experience, and used by professionals throughout the U.S. and the world, you can trust our products to be first-rate and of the highest quality, backed by over 40 years of testing and experience in using our products. We’ve made it easy for you to make your own repairs by packaging the essential products you’ll need in a convenient, easy to use DIY kit which also includes easy to understand instructions, written by a pro. Simply clean the surface, apply our Magic Mender leather repair compound, let it dry, then sponge, brush, wipe or spray on our Color Flex final color finish. It only takes about an hour from start to finish and when you’re done you can expect a flexible, long lasting repair. Whether you are repairing your furniture, auto upholstery, jacket, shoes or briefcase, with our repair kit you can achieve the same great results just like a pro. Probably the most difficult step in leather repair is matching the color to your item. You avoid that headache using our ready-mixed colors. Even if the color isn’t exact, when using our Color Flex you have the flexibility of blending the color into the surrounding area, making the repair invisible or at the very least, less noticeable. This is a time-tested painter’s trick. If you need a custom color, you can always create your own by mixing any of our Color Flex colors together. Over 1500 colors to choose from! 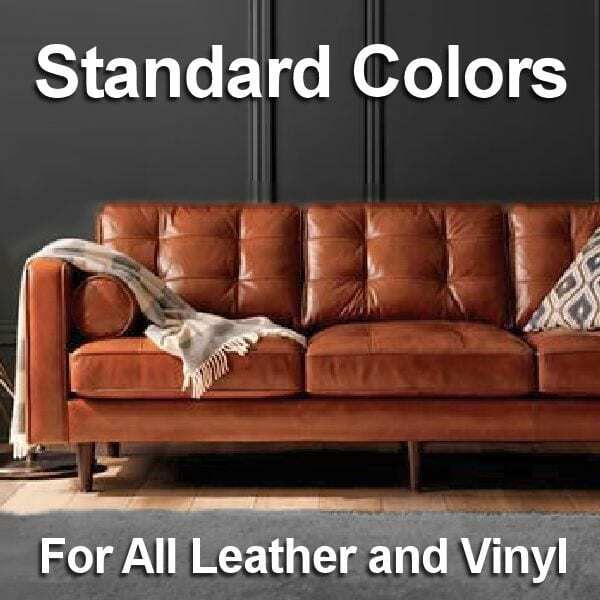 Our Standard Colors are formulated to match many popular furniture colors as well as most common leather and vinyl items. From neutral colors to the very bold. 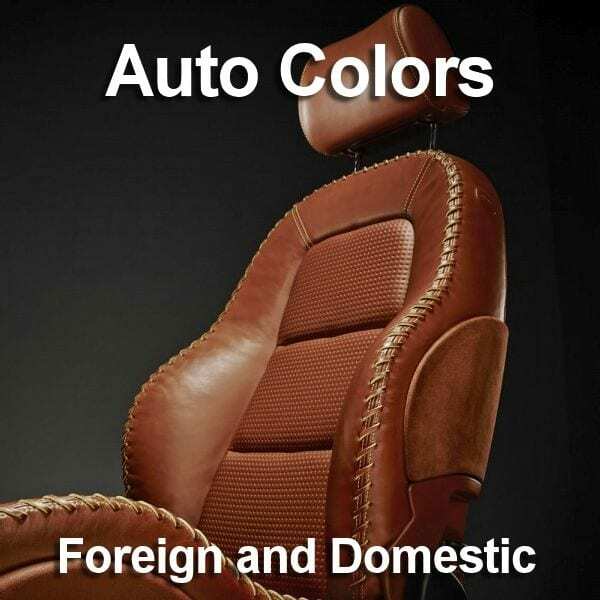 Our Auto Colors are are specially formulated to match manufacturer’s OEM colors. Yes they do. However, the Internet is so saturated with leather repair kits, how are you to know which is the right one for you? First, not all leather repair kits or companies that sell leather repair products are created equal. There are really only a handful of companies on the Internet that specialize in professional leather repair kits and restoration products and of that handful, only a few that are actually in the leather repair trade and have experience in using them. The rest are just selling products. Magic Mender is one of that few, with 42 years of experience; we are the most experienced and trusted. 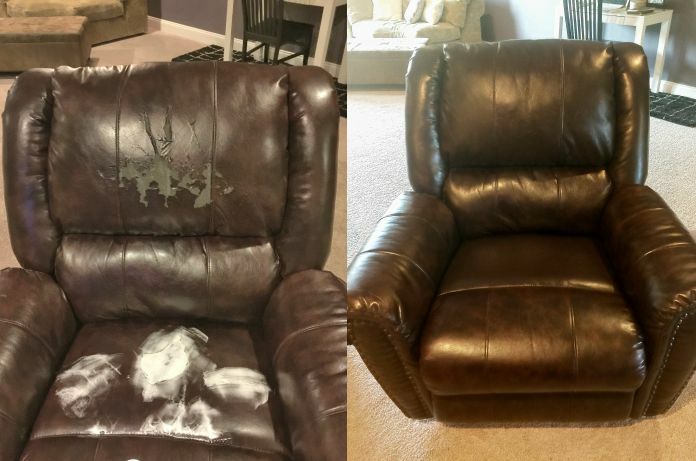 Leather repair is our specialty. Below are a few tips that we hope will help you make an informed decision. » The real proof of how well a product performs will be evidenced by customer photos and reviews. Choose a reputable company, one that has plenty of customer reviews and before and after photos. Not every customer is happy with their repair results, for whatever reason, so if you read 100 great reviews and 2 or 3 bad ones, keep that in perspective. I just had to tell you that your product is amazing. I had a steering wheel in a recently purchased classic car that I didn't know what to do with. It was saddle leather color and was torn up around the diameter. I picked the product I needed and used your Color Chart to pick the color. It match perfectly and by following your instruction I completed the repair in about 90 minutes. You included everything in the kit that was needed and it turned out fantastic, as good as a new wheel. Buying the repair kit from you and doing it myself saved me hundreds of dollars, and it was easy to do.